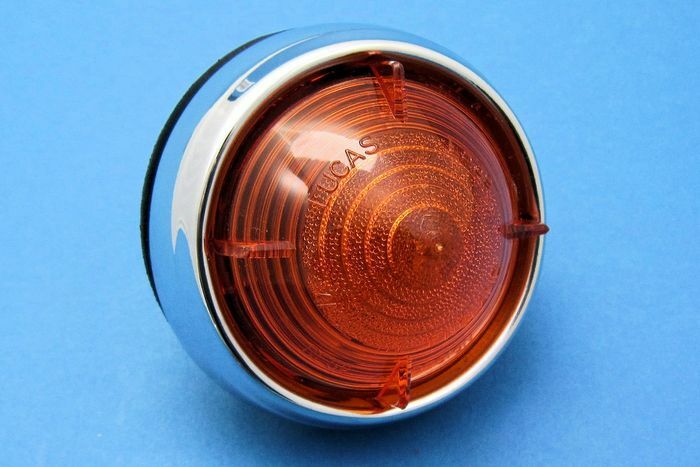 83mm diameter chromed metal base with 65mm diameter domed amber plastic lens. 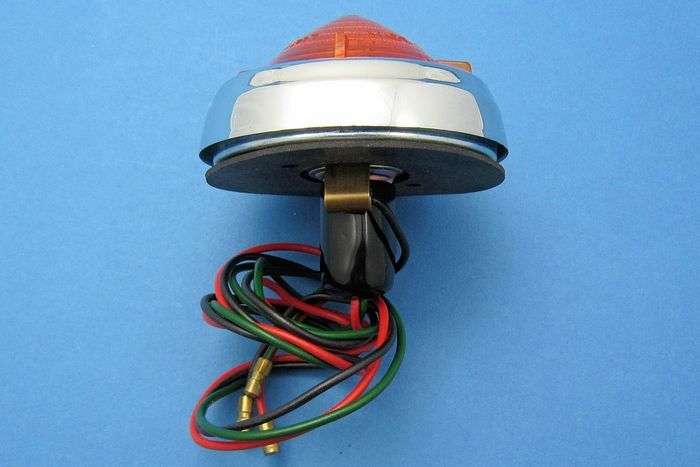 Supplied with 12V, 21W bulb, 600mm leads with bullet terminals and sealing gasket. Overall length approx. 75mm including lens. 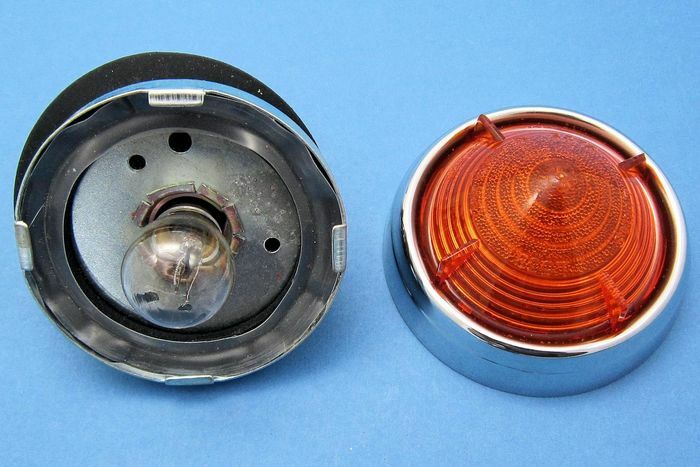 Matching side lamp and stop/tail lamp also available.